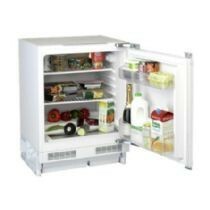 Product information "Teknix BITKUL1 Built Under Larder Fridge"
If you're looking for a replacement for your built under larder fridge and cannot see the point in buying a "branded" product then this is for you! 135 litres of storage space with 2 glass shelves, twin sald bins with lid and two door balconies will do the job. It's A+ energy rated and has a low noise level of 41dB so performance is absolutely fine. What's not to like? Complete with door fiting acessories and has a reversible door for easy installation. Related links to "Teknix BITKUL1 Built Under Larder Fridge"
Customer evaluation for "Teknix BITKUL1 Built Under Larder Fridge"